Mabel* is a 52-year-old grandmother and farmer from one of Kenya’s coastal counties and lives with her daughter and several grandchildren. She took care of her husband when he had tuberculosis (TB) about ten years ago and is currently caring for one of her grandchildren who is ill with TB at age six. Mabel’s daughter is coughing now, along with another grandchild; the two have been tested for TB. The results are positive. They know what to expect; at least six months of daily treatment for TB. It is a long struggle that they know all too well. Kenya is a high-burden TB country. In 2015, Kenya had over 81,000 cases of TB, some of whom are infected with both TB and HIV. The number of people who die from TB has risen steadily since 2010, reaching almost 5,000 in 2015. There are also a growing number of drug-resistant TB cases. At least one million children become ill with TB every year around the world with 140,000 losing their lives. Nearly 7,000 infants and children here in Kenya had TB in 2015. Those under the age of five are at a greater risk of having severe forms of TB and dying from the disease. Caregivers infected with TB have few options but to keep caring for children throughout their own illness. Children contract TB from them. TB in children can present like other childhood conditions such as pneumonia and malnutrition. This can lead to under-diagnosis thereby undermining the true impact of the disease in children. Children, you see, have faster metabolism than adults and require higher doses of the TB medicines. But until now, no manufacturer had stepped forward with a product that matched the WHO dosing recommendations. As a result, parents, grandparents and other caregivers have had to split or crush a number of unpleasant tasting pills to approximate the correct dosages for children. However, we are not sitting on our hands and doing nothing. Starting in October, Kenya will be the first country in the world to nationally distribute improved, pleasantly-flavored TB medicines for children. For Mabel, TB treatment meant half a year of combining and crushing pills then coaxing her granddaughters to take the medicine. At least now they both have treatment in the right doses that are easier to give. In Kenya, we have much more work to do in combating TB. Rolling out the improved pediatric TB medicines is the first of several initiatives focusing on populations most at risk for TB. Integrating TB screening into maternal and neonatal childhood services will help identify all children with TB. New diagnostic technologies will make it much easier for healthcare workers to detect TB in children. Everyone working in the healthcare sector should join these efforts and ensure that no child dies of TB. Now that we have the appropriate tools, we need to increase detection efforts so that we can find children with TB who are hiding in plain sight and improve their treatment and survival. It is time for all of us to take the steps needed, accelerate this progress and vanquish this ancient epidemic. This has to start with our children; they should be our first TB-free generation across the continent. Even in the midst of bleak pictures, hope can always grow. Perhaps it can start with the simple victory of a child-friendly TB treatment—for Mabel’s grandchildren, and others in Kenya as well. If we can tackle an endemic disease of poverty and make sure that children get treated, we can take this momentum and do much, much more. The future holds so much promise—much of it could even be fruit-flavored. 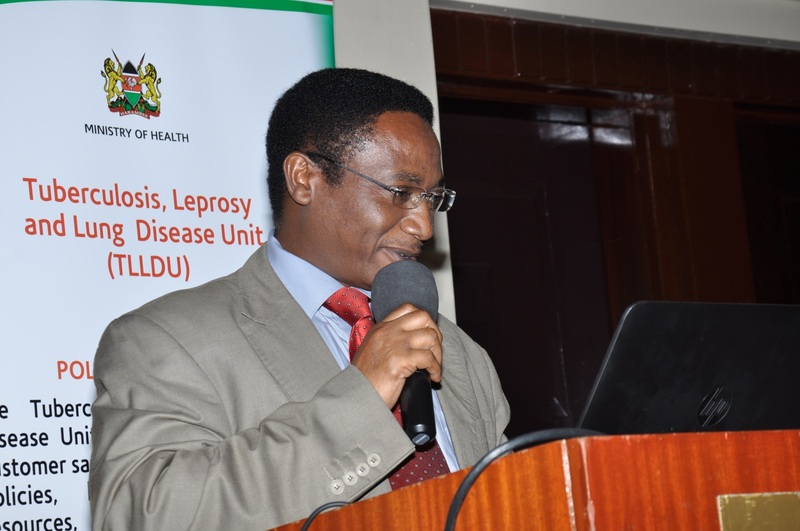 Dr Jackson Kioko is the Director of Medical Services, Ministry of Health Kenya. He has a wealth of experience in management of health systems, project management, research and policy development, epidemiological surveillance and analysis, sustainable health delivery systems, strategic planning and development acquired over the last 20 years while working at various management and leadership levels in the Ministry of Health.